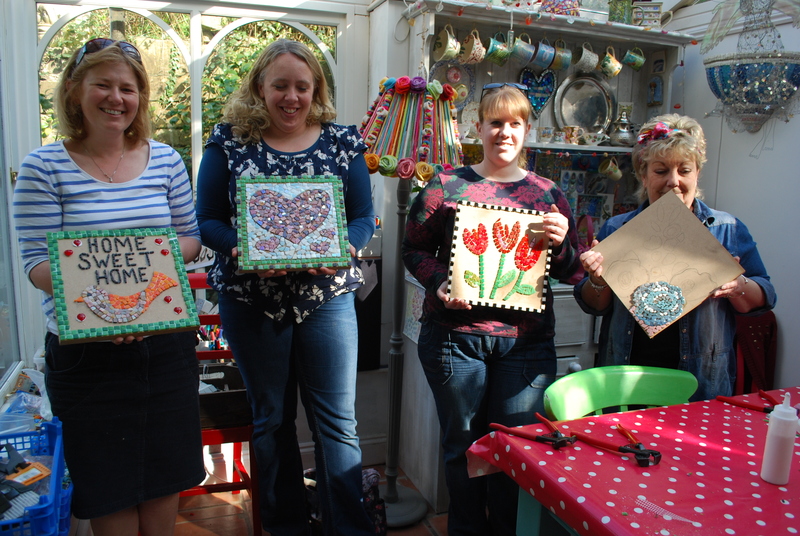 Congratulations to the ladies who attended the mosaic workshop at the weekend. It was a fabulous day and the work produced was stunning. The sun shone all day which just added to the occasion. I look forward to seeing the finished pieces when they are grouted….that goes for you too Norma!! !